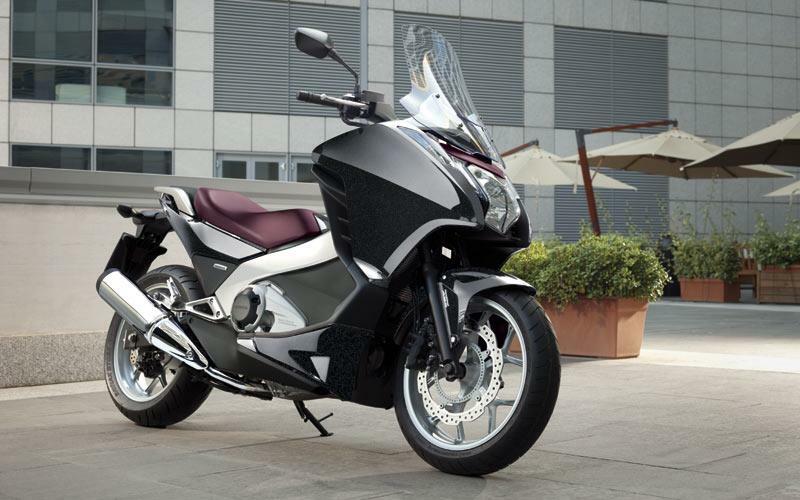 Honda has just released full details on the new dual-clutch Integra maxi-scooter including a claimed 76mpg fuel consumption figure (250 mile tank range) and reduced service costs with an 8000 mile service limit with spark plug replacement at 32,000 miles. 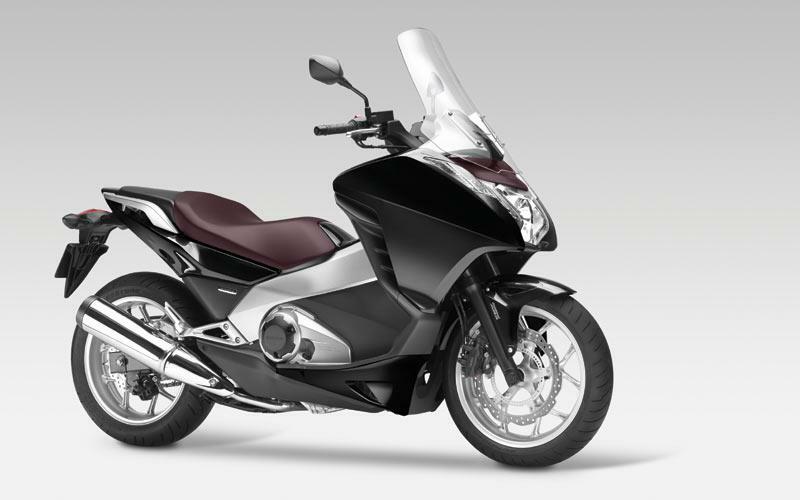 The Integra is the first of a proposed three-model line-up (the other two will likely be a naked roadster and Crossrunner-like adventure machine) and features a new SOHC 670cc parallel twin engine with dual-clutch transmission similar to the one used on the VFR1200FD. The dual-clutch system utilises two clutches – one for start-up 1st, 3rd and 5th gears, while the other clutch deals with 2nd, 4th and 6th. 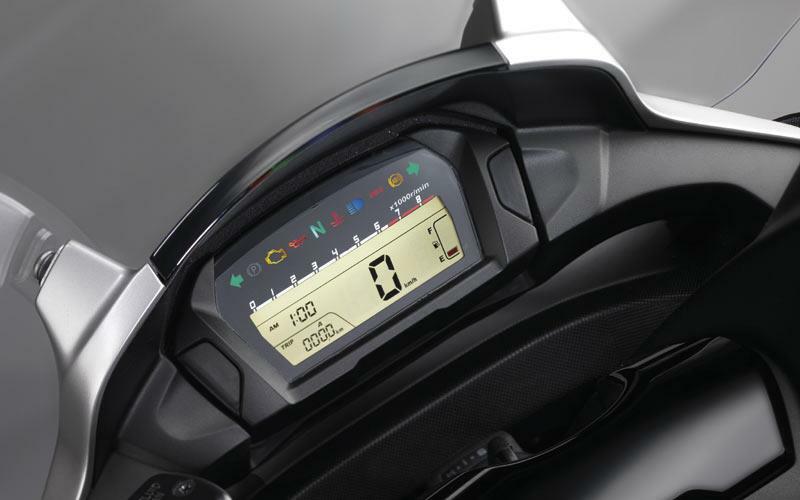 Three drive modes are available and can be fully automatic, or manual by use of handlebar switch buttons. The two can be combined to allow the rider to change down for overtakes. The Integra’s SOHC parallel twin engine will be available in two power versions: 51bhp/46.1ftlb and 47bhp/44.3ftlb, the latter designed to meet the 2013 A2 category European learner regulations. 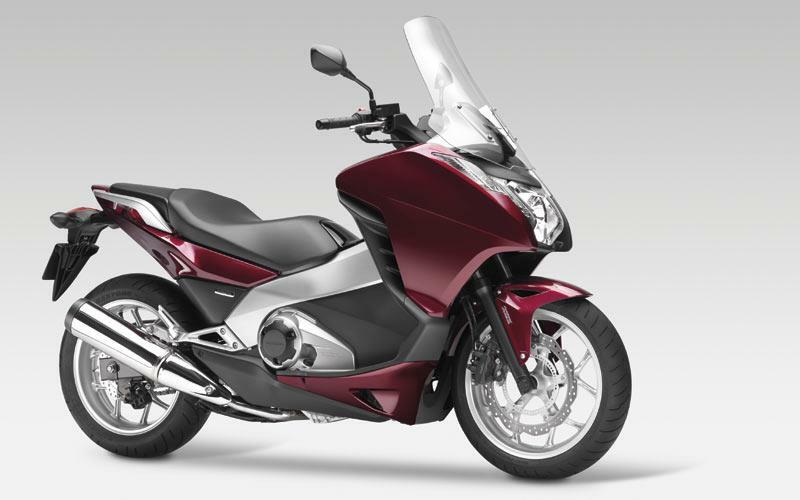 Honda UK says only the full power version will be available in the UK. 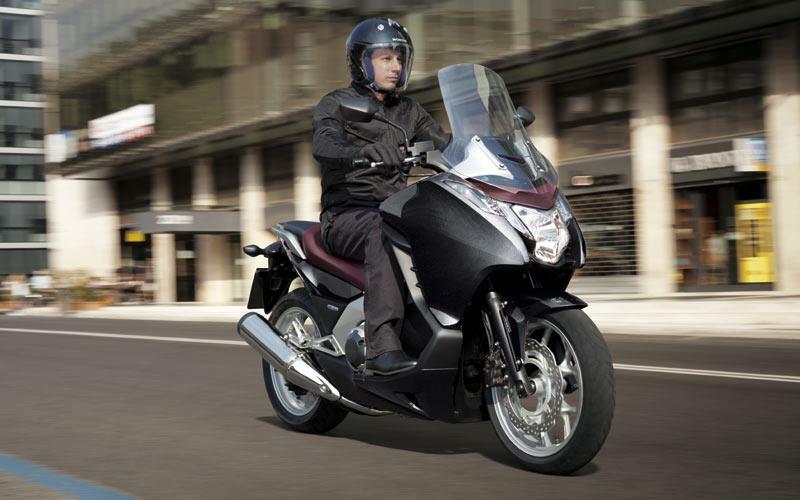 The Integra has been designed to give the riding sensation of a motorcycle with all the practicality and comfort of a large capacity scooter. 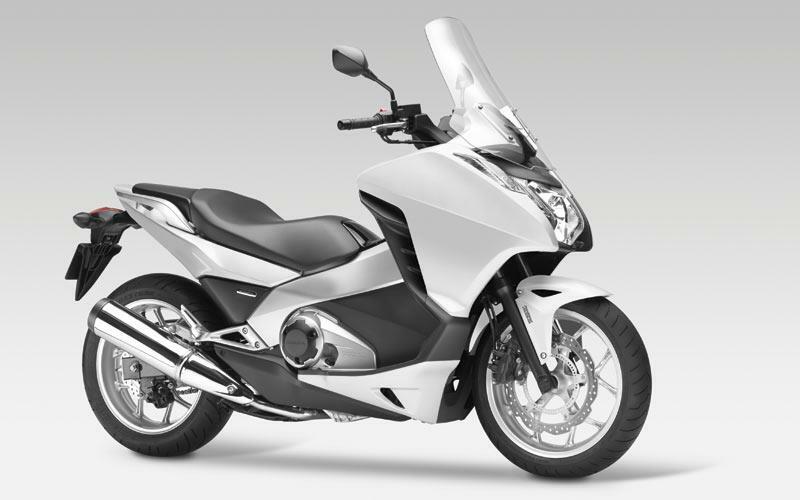 The Integra uses normal telescopic forks, single rear shock and 17in wheels for motorcycle-like stability and handling, with chain final drive, but the overall layout is all scooter with under seat storage, large frontal area, running boards and inner fairing storage. 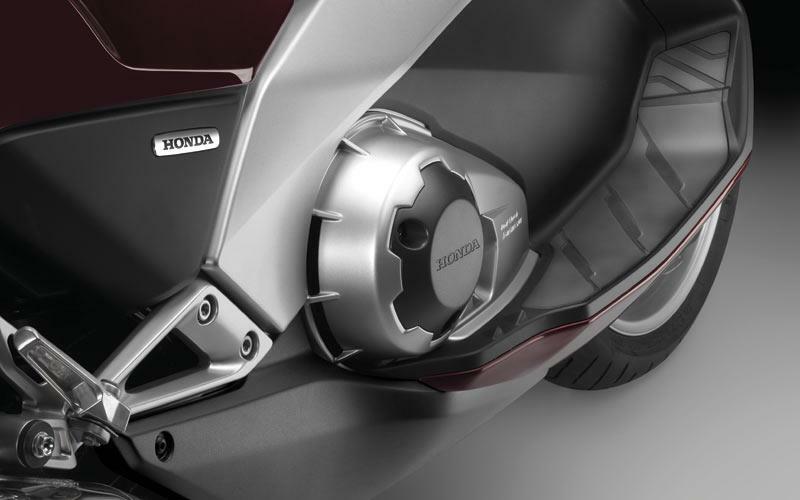 The Integra also features Honda’s combined braking and ABS (C-ABS). No price or dealer stock dates have been confirmed for the new Integra although these should be released at the NEC’s Motorcycle Live, 19-27 November, where the bike will be displayed. 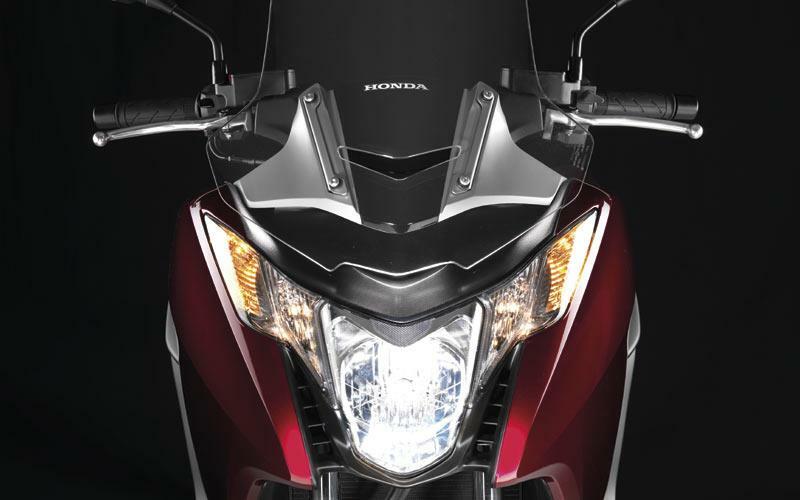 There will be two colour options of red and black along with the usual quality Honda accessories, such as colour-matched topbox, heated grips etc.